Sunshine Coast FC is pleased to announce the continuation of North Coast Signs as the club’s Official Signage Sponsor for 2019 and 2020. North Coast Signs is the premiere sign writing and branding producer on the Coast, with over 18 years of experience and knowledge. 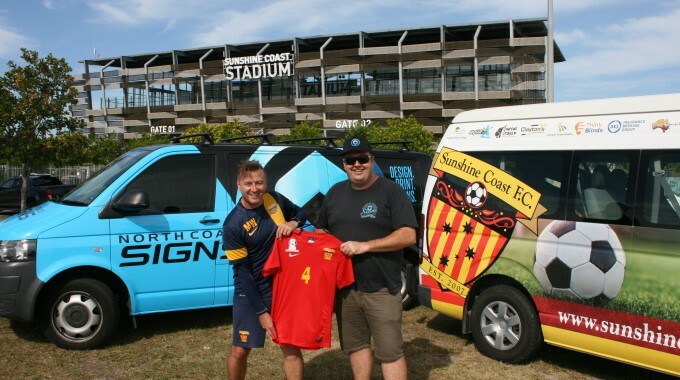 North Coast Signs produces all of the signs, banners and vehicle graphics for Sunshine Coast FC to make us and our sponsors look the very best as we travel around Queensland. They will also be seen throughout Queensland as a front-of-shirt sponsor for one of our junior squads.